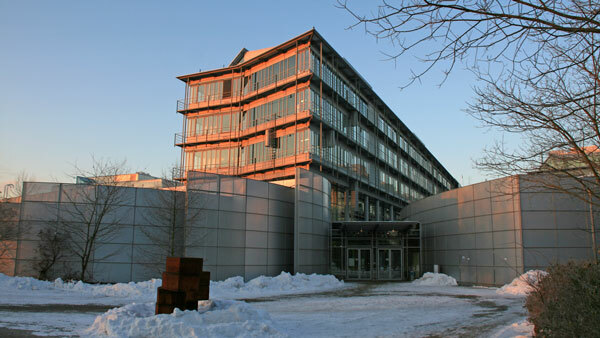 The high-tech campus Großhadern, where the LMU Departments of Pharmacy, Chemistry and Biochemistry have been located since 1999, is the home base of the Carell group. With a foundation in synthetic organic chemistry, the group reaches out to unravel the mysteries of the molecules of life, with emphasis on the nucleic acids. These versatile molecules are both extremely stable and extremely diverse in their chemistry. In the case of DNA, highly efficient replication and repair systems have ensured the stability of the genetic code for millions of years. In the case of RNA, about 170 different building blocks of RNA have been identified so far. The function of these molecules spans from information storage and inheritance to the regulation of life-processes and fascinating catalytic properties. 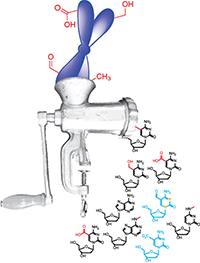 It is at this interface between Chemistry and Biology where the Carell group positions itself. 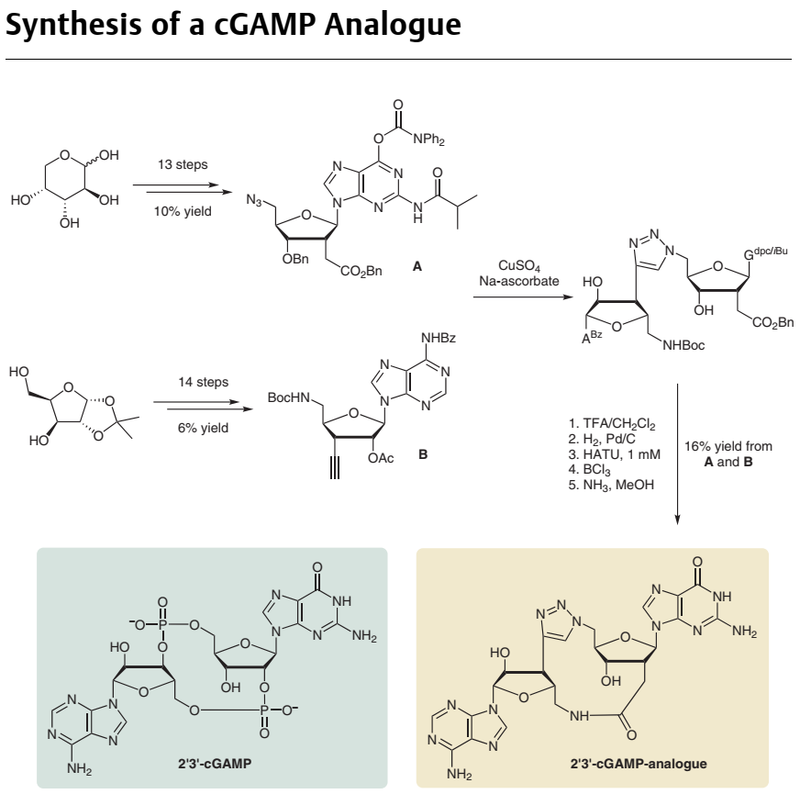 Our work on cGAMP analogues just got highlighted in SYNFACTS. We are seeking highly motivated students for PhD or Master projects in the Chemical Biology of Nucleic Acids. If your are a student with particular interest in enzymatic assays (find RNA modifying proteins), cell biology (influece of modifications on cell differentiation) or molecular biology (identificaton of modification by NGS), please contact us. The Carellgroup has established accounts on Twitter and Instagram. Check it out! Robert F. Service discusses new developments in the Origins of Life field. Our chemistry was highlighted and put into perspective. Great scientific progress in the field shows us how life may have emerged. A one-pot, water compatible synthesis of pyrimidine nucleobases under plausible prebiotic conditions. The Carell group presents their method on precise nucleoside quantification by triple quadrupole LC-MS/MS. Our research is centered around the Chemical Biology of Nucleic Acids. We have a special interest in RNA and DNA modifications, including regulatory/epigenetic modifications as well as detrimental DNA lesions and their repair. An additional research focus includes synthetic modifications, such as applying click chemistry to DNA, building brighter probes for diagnostics and optimizing gene transfer. The Carell group has developed sophisticated tools for DNA and RNA research. These are isotopically labelled nucleosides for tracing and quantification. Our phosphoramidites are now sold through GlenResearch. Find out what is available. Here you will find a complete list of our published research in high-impact journals like Science, Nature, Cell and Angewandte Chemie. Links will guide you to the publishers' websites. Latest papers on top. Prof. Carell teaches bioorganic chemistry (OC3) in the Bachelor of Chemistry and Biochemistry program. Together with Dr. Müller, he offers a program in Chemical Biology, consisting of two lectures and a practical course. In the Supplements section, students can find study examples for their exam preparation.